A great sauce can take a dish from good to fantastic. In this episode, Martha goes over some classics, starting with Béarnaise Sauce, a derivative of Hollandaise. Next she makes Kansas City Barbecue Sauce, which is tomato-based with a sweet-tart flavor. 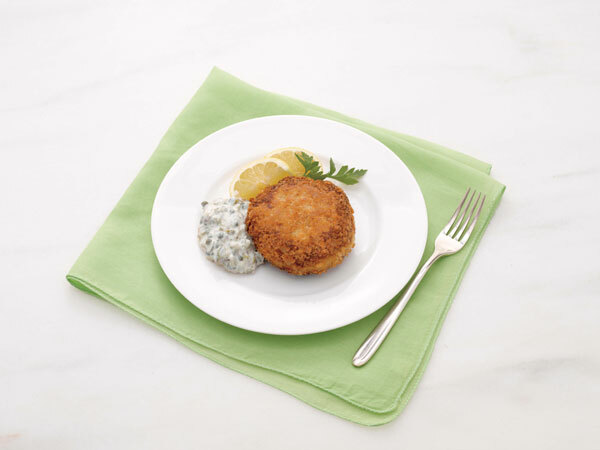 Tartar Sauce — Martha’s version includes capers, shallots and cornichons — and a tasty Cocktail Sauce are both beloved staples. Then Martha shows us how to make Salsa Verde, a perfect accompaniment to grilled meats, poultry, seafood and vegetables. Martha Stewart makes Béarnaise Sauce, Kansas City Barbecue Sauce, Tarter Sauce, & Cocktail Sauce. Martha advises to not fill the blender jar too full, place a towel over the lid in case the liquid blows off the top, and always start on low. This tartar sauce recipe appears in the "Sauces" episode of Martha Stewart's Cooking School. In a small bowl, whisk together mayonnaise, cornichons, shallot, capers, and lemon juice. Season with salt and pepper. Store covered in the refrigerator until ready to serve, for up to 2 days. Stir again just before serving.